Hindu god Shiva in Kathmandu, Nepal. 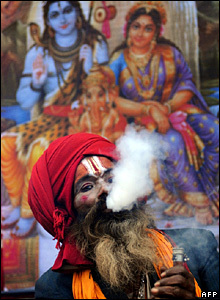 hey, that's cool.....wont feel so bad when I trek a skelmpie doobie........Ms Hindu seacomic!!!! !